What Happened to Humboldt Parkway? BUFFALO, N.Y. (WKBW) – Buffalo neighbors living along Humboldt Parkway have been fighting for years to restore their community to the grandeur it once was. 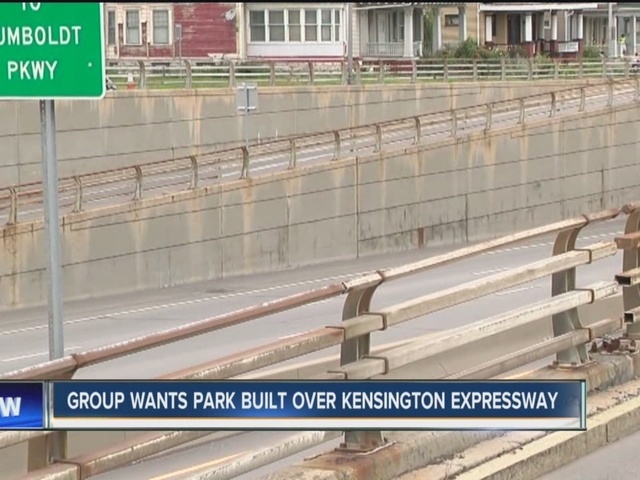 Saturday, the Restore Our Community group called on the City of Buffalo to build a parkway over the Kensington Expressway, connecting the Humboldt Parkway Community to the Buffalo Niagara Medical Campus. Advocates say the route used to be tree-lined and beautiful until the construction of the Kensington Expressway over 60 years ago. The group is hoping to raise enough awareness for public funding. We are a group of concerned citizens and organizations who aim to remediate the devastation and civic injustice caused by the construction of Route 33 in Buffalo, NY.